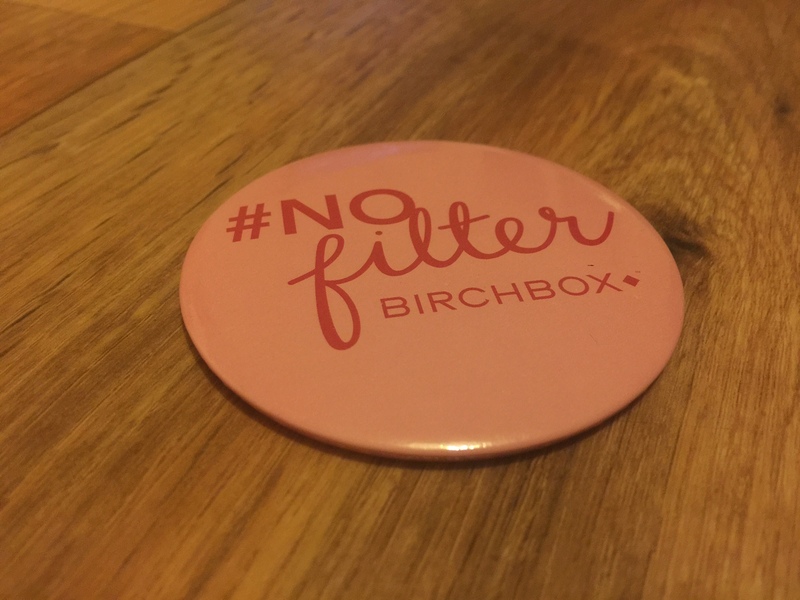 My Birchbox arrived a couple of weeks ago, but I’m only posting my review now as I like to test out all the products properly, before I review them. For January’s box, Birchbox teamed up with Pinterest to bring us the ‘Best Year Ever’ box. I absolutely love the cute design of this box, it’s BEAUTIFUL. So what did I think of the products in my box this month? 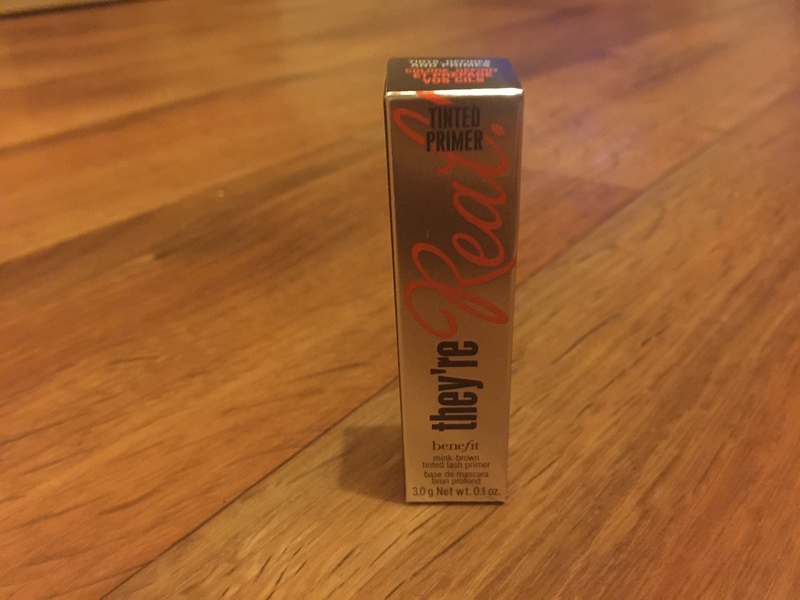 Let’s start with Benefit They’re Real Tinted Primer (full size RRP £18.50), a pre-mascara primer that super-charges your lashes. This ‘mink’ coloured primer separates, lengthens and boosts each individual lash, preparing it for mascara. 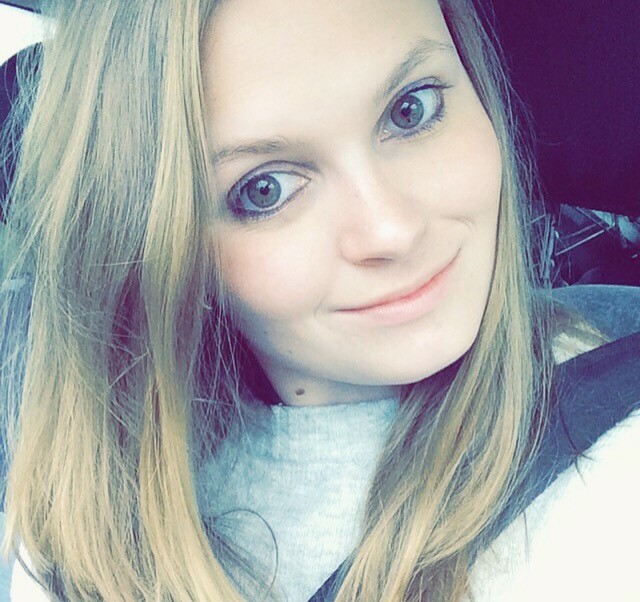 What are my thoughts? I LOVE it. The great thing about this products is that as well as being used under your mascara for extra volume, you can also wear it alone for a more natural look. While I would say it’s a little overpriced – that’s Benefit for you, I love the extra volume it gives my lashes. I also like the fact that it separates them, as I always seem to end up with lashes that are stuck together. Next up is Jelly Pong Pong Lighten Up Brightener & Waterliner, my only full size product (RRP £14.95). 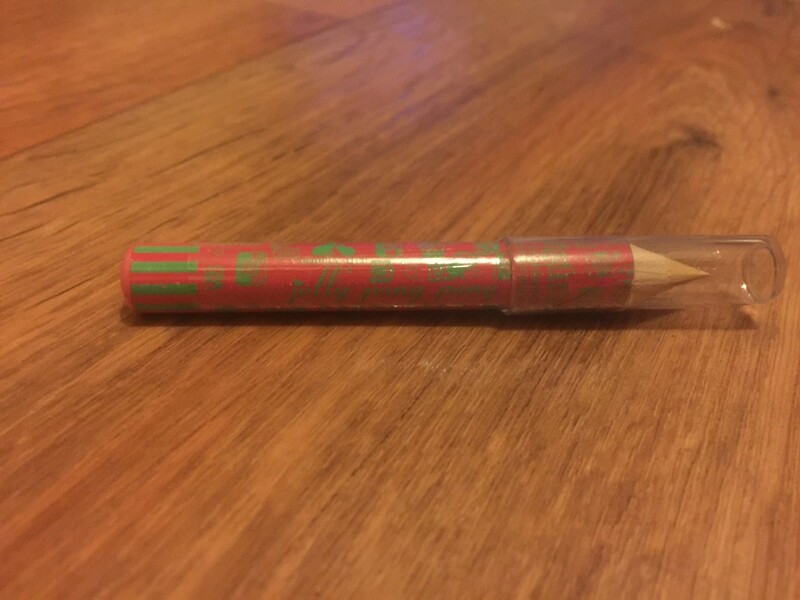 This pencil is perfect for brightening and highlighting your eye area, making your eyes look bigger and more awake. It can also be used as a matte highlighter for blending onto your brow bones and cheekbones – no shimmer here. Do I like it? Recently, I’ve become a little obsessed with highlighting and brightening products, and when I heard that this was one of the products, I was desperate to get it in my box. And since trying it out, I’m not disappointed. I love how easy it is to apply and blend, and am also a big fan of the fact that it gives a matte look, instead of a shimmery one. 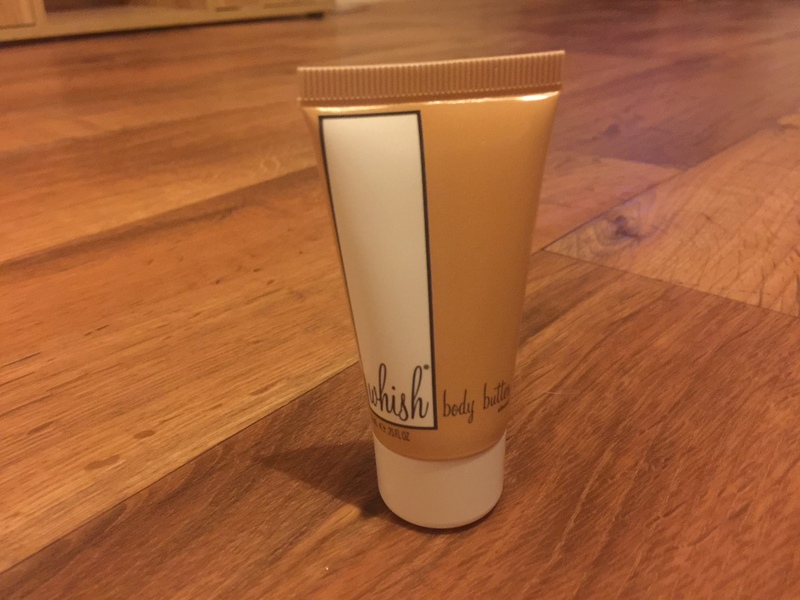 And onto Whish Three Whishes Almond Body Butter (full size RRP £14.50), a skin nourisher made up of shea, raspberry butter, aloe vera, and sweet almond oil. This handy little body butter helps to keep skin healthy and hydrated, without leaving a greasy residue – what’s not to love? Would I buy it? I am CRAZY about the smell of this cream, it smells just like marzipan. So yes, I would buy it. (I am OBSESSED with marzipan.) I also love how light, gentle and hydrating this cream is, it soaks in quickly and as promised, leaves no nasty residue. 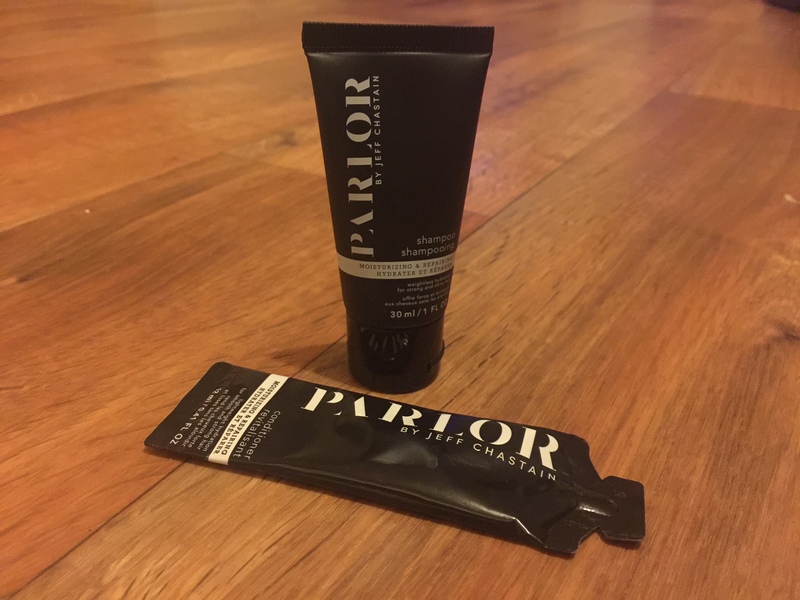 Now onto Parlour Moisturizing & Repairing Shampoo & Conditioner (no idea why ‘moisturising’ is spelt with a ‘z’ but oh well – perhaps it’s an American product) both of which have the RRP of £16 each for a full-size version. These two products are not only fantastic cleansers and conditioners, but they also strengthen the hair at the same time. Best of all, they smell DIVINE. The scent peaches and fresh cut grass, the brand’s signature smell. Do I like it? I love the smell, it’s so fresh and floral. I am also a big fan of how much the shampoo lathers and how moisturising the conditioner is. The only thing that has put me off these two is the price – £32 for shampoo and conditioner is a little much for me, no matter how AMAZING it smells. 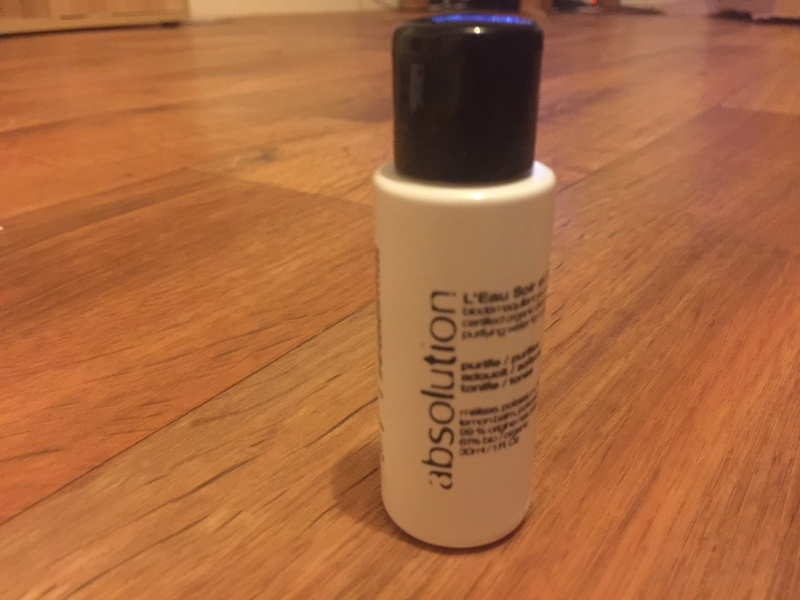 Finally, onto Absolution L’Eau Soir et Matin – aka cleansing water (full size RRP £27). This purifying cleanser is fantastic for removing makeup, it’s light and gentle and makes fast work of removing some of the toughest products. Packed with hazelnut and aloe vera, this gentle cleanser leaves you skin feeling fresh, clean and hydrated. And not forgetting this month’s beauty treat, Birchbox Compact Mirror (RRP £4). I love compact mirrors, so this little treat was perfect for me. A Pinterest-inspired design, this mirror, that has a pink back stamped with the words ‘#NoFilter’ is a fantastic beauty treat – it’s 100 times better than the normal perfume samples I receive and never use. Overall, I like most of the products in this month’s box. However, my favourites have to be Jelly Pong Pong Lighten Up Brightener & Waterliner and Benefit They’re Real Tinted Primer. I am also a big fan of this month’s beauty bonus – my compact #NoFilter mirror – such a cute idea. Previous Article← What Are The Best Ways To Boost Your Income?